Off of SR16. Take the Wollochet exit and turn on Kimball Dr. Across from the Great CarWash! At Kent Cashman State Farm, our mission is to consistently exceed expectations through our customer first attitude and commitment to help our customers insure what they love the most and plan for the future. Our professional team operates with integrity and works to insure our customers from the unexpected in life. 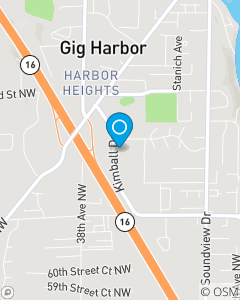 We are located here in Gig Harbor, WA assisting with all types of insurance needs. Licensed Team who are proud to Serve Our Customers!